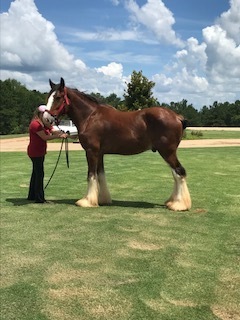 There are over 40 head of registered Clydesdale horses at Classic City Clydesdales. We take pride in the depth of pedigree that we have and most horses can be available. If after looking through our site you see a horse that suits you, please do not hesitate to contact us. Below is just a small listing of available horses. Farm tours are available Wednesday, Friday and Saturday at 11:00am and no appointment is necessary. For a more personal tour please contact us to book a tour of sale horses. We are happy to accommodate. Thank you. 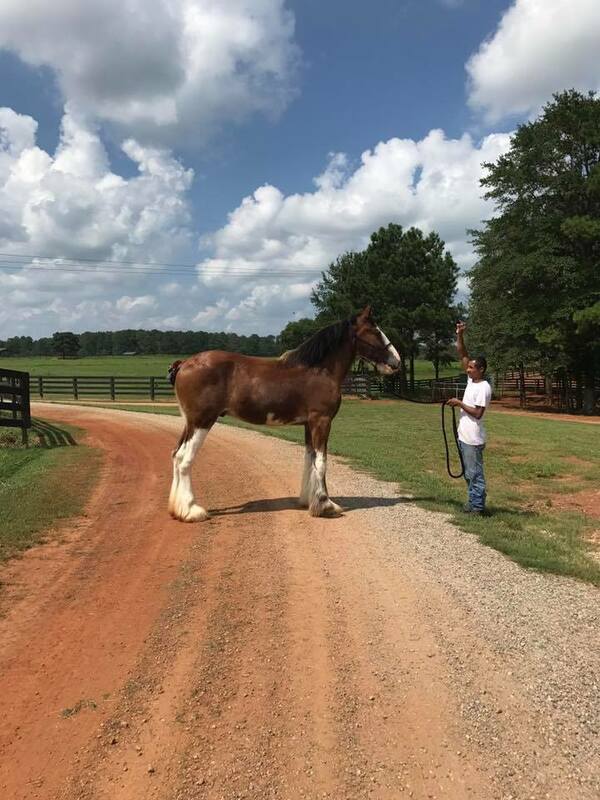 Classic City BB Ozzy Osbourne - (GELDING) 3 yr old Bogton Barnaby son with an excellent foot. 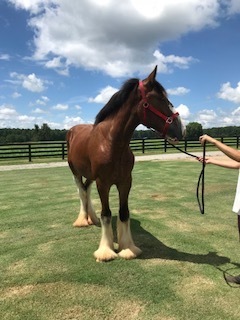 He is ready to start his career in hitch or under saddle. $8500 and will have 30 days riding training with full price sale. If you are looking for that special Clydesdale horse for hitch, halter or riding, give us a call. Even if we don't have them listed, we may be hiding him or her here on the farm. We welcome tours!